August 27 -Ã‚Â Obtained Marty McSorley from Los Angeles for Shawn McEachern. February 15 -Ã‚Â Obtained Shawn McEachern and Tomas Sandstrom from Los Angeles for Marty McSorley and Jim Paek. March 19 -Ã‚Â Obtained Greg Hawgood from Florida for Jeff Daniels. March 21 -Ã‚Â Obtained Jim McKenzie from Dallas for Mike Needham. • Ed Johnston was named head coach and on June 22, 1993. • Ron Francis recorded his 1,000th career point on October 28 against the Quebec Nordiques. • Tom Barrasso earned his 250th career win on November 18 against the Washington Capitals. • Ed Johnston set club record with his 96th coaching win on Dec. 21 vs. Tampa Bay, breaking Scotty Bowman’s record of 95. • Bryan Trottier recorded his 900th career assist on January 3, against the Ottawa Senators. • Tom Barrasso set the record for most wins by an American-born goaltender with his 253rd win on Feburary 15 vs. Winnipeg, breaking former Pittsburgh Yellow Jacket Frank Brimsek’s record of 252. • Larry Murphy recorded his 900th career point on March 26 against the Calgary Flames. • Mario Lemieux recorded his 1,200th career point on March 26 at Calgary. 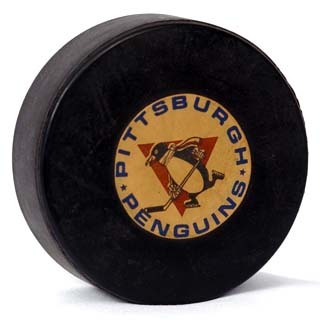 • Penguins clinched their first-ever Northeast Division title on April 11 with a 4-0 win at Ottawa.